The keyboard on the 2012 MacBook Air is the same as the 2011 model. You get a full sized keyboard on both the 11 and 13-inch models, with the alphanumeric keys measuring ~15 x 15mm. The function keys are half height on the 13 and even smaller on the 11, but there's no sacrifice in key size otherwise. Key travel and physical feedback are both as good as they can get on a chiclet-style keyboard. As Apple has now fully transitioned to this style of keyboard across all of its Macs, I can't really say I have any complaints about it. Apple's keyboard remains one of the best on the market. The dedicated power button from the older Macs is gone and replaced with a power key that looks like another function key. The power key is functionally no different than the old power button - tap to turn on, hold to power down in the event of a hard lock. 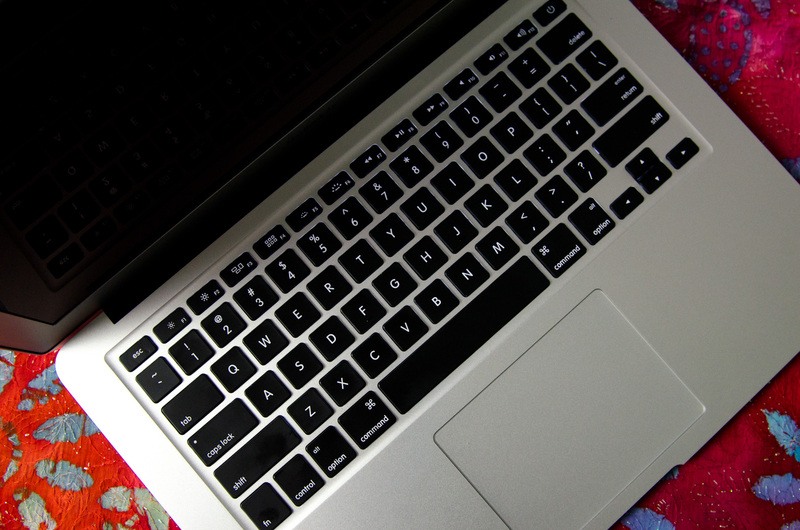 The 2012 keyboard is nicely backlit, just like on every MacBook Air but the 2010. Apple offers fine grained controls over the keyboard backlight (16 adjustable levels). You can either choose to control it on your own or let the ambient light sensor control the intensity of the keyboard's backlight. We spend so much time pointing out poor clickpads in the latest Ultrabooks that it's important to mention just how good the clickpad is in the MacBook Air. Apple continues to use the top hinged design on its glass covered clickpad. Clicks are easier towards the bottom of the pad than at the top where the hinge is. The clickpad is glass covered which makes it very smooth and comfortable to use. Finger rejection is handled extremely well under OS X, accidental clicks are very rare. I typically keep my thumb on the clickpad, near where the right mouse button would traditionally be, and mouse around with my index finger. While I normally have issues with this usage model on most of the clickpads I use, Apple's implementation is both the exception and the benchmark. It just works. 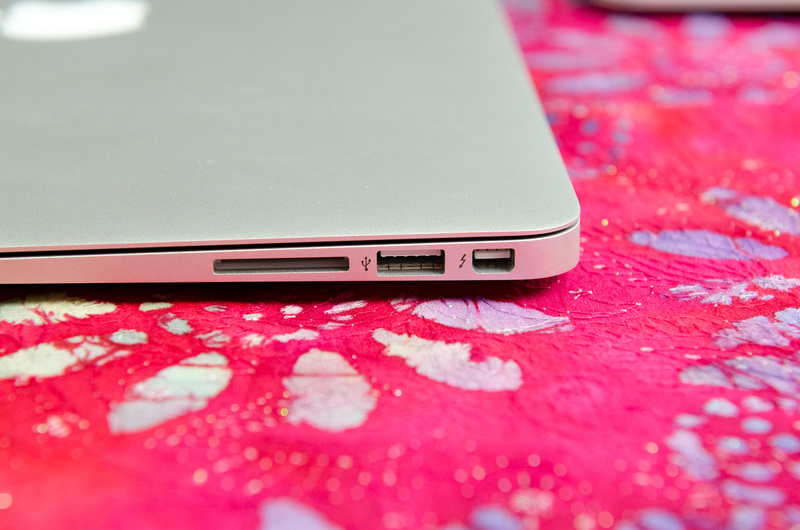 USB 3.0 is alive and well on the new MacBook Air. Both ports support the standard and both OS X and the hardware supports the USB Attached SCSI Protocol (UASP). 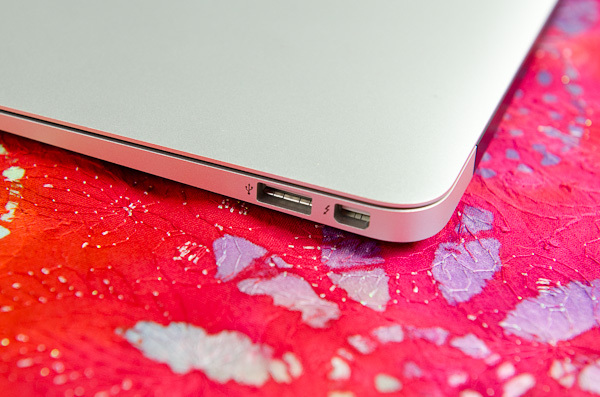 I have noticed that USB device compatibility is more finicky on the MacBook Air compared to the rMBP. Most devices seem to work fine but Kingston's HyperX Max 3.0 for example wouldn't work, although it worked fine on the rMBP. The hardware is actually detected by OS X, the drive simply never appears to Disk Utility or in Finder. A few folks have noticed something similar with other drives on Apple's support forums but the issue doesn't seem to have widespread implications. Thunderbolt support comes courtesy of a 4-channel Cactus Ridge controller. The Thunderbolt port continues to be on the opposite side of the machine from the power connector. Anyone who owns a Cinema or Thunderbolt Display will bemoan the continued use of this configuration. Last year Apple introduced a 720p FaceTime HD camera to its MacBook Pro. The 2012 MBA inherits the same camera. Image quality remains acceptable as long as you're in a room with not terrible lighting. 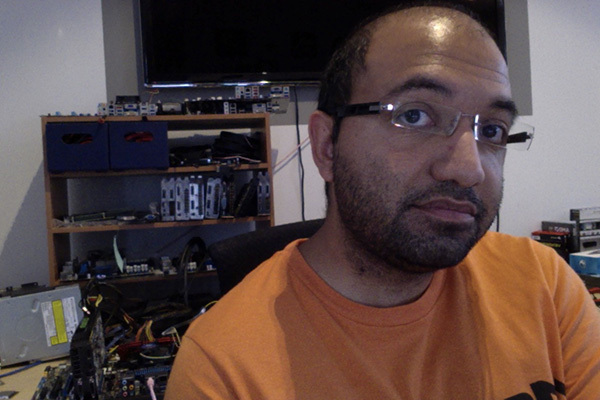 Most of the Ultrabooks I play with these days try to mimic the FaceTime HD experience by using a 720p sensor. Arguably just as important as the sensor is the software that goes along with it. Photo Booth and Apple's FaceTime app are both extremely simple and quick to launch. I can't stress the importance of getting little details like this right when selling to general consumers. 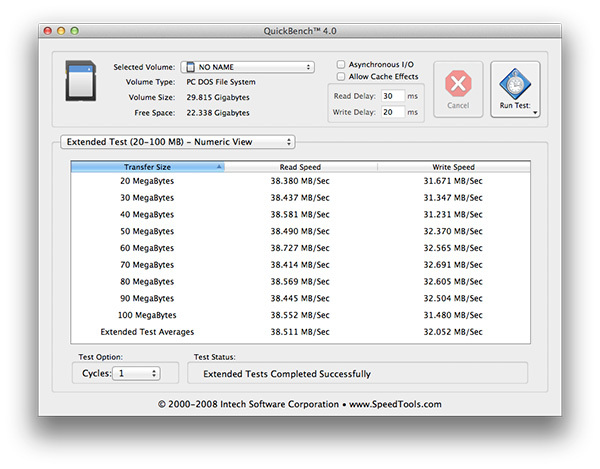 The rMBP by comparison can deliver more than 80MB/s in the read portion of this test. Even writes are faster at ~40MB/s on the rMBP compared to around 32MB/s here. 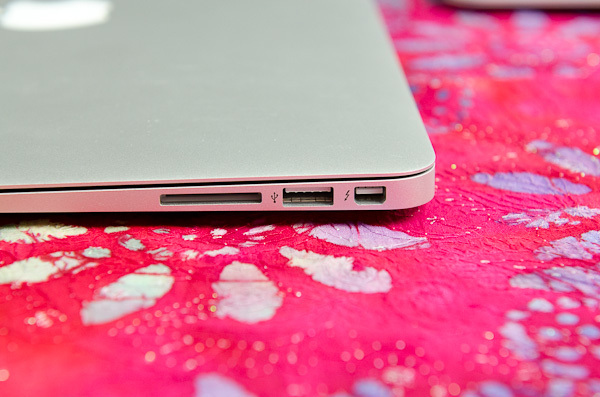 It's a lot of these little things that contribute to the differences between Apple's MacBook Air and Pro lines. Wireless connectivity remains unchanged from last year's model. Broadcom is on 802.11n WiFi duty with its BCM4322. Both 2.4GHz and 5GHz bands are supported. The same 2x2:2 configuration (2 send and receive antennas with 2 spatial streams) remains from last year as well. I ran the 13-inch MacBook Air through the same three location WiFi test that I put the rMBP and 2011 MBP through, on both 5GHz and 2.4GHz. Performance on 2.4GHz was unusually low on the Netgear WNDR4500 I usually test with (10 - 20Mbps regardless of location) so I had to switch to the previous generation Apple Time Capsule to ensure there was nothing wrong with the notebook itself. All of the 2.4GHz MBA numbers have a star next to them to indicate that they aren't totally comparable as they're using a different AP. 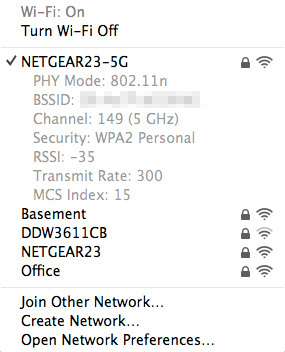 The 5GHz numbers all came from the Netgear however. Overall WiFi performance is decent but obviously not as good as what you get from a MacBook Pro. Looking back at the results I almost wonder if the 2011 MBP wasn't showing some of these weird 2.4GHz issues on the Netgear router as well. In the best conditions on 5GHz you can hit around 160Mbps, but you pretty much have to be right next to a good AP for that to work. 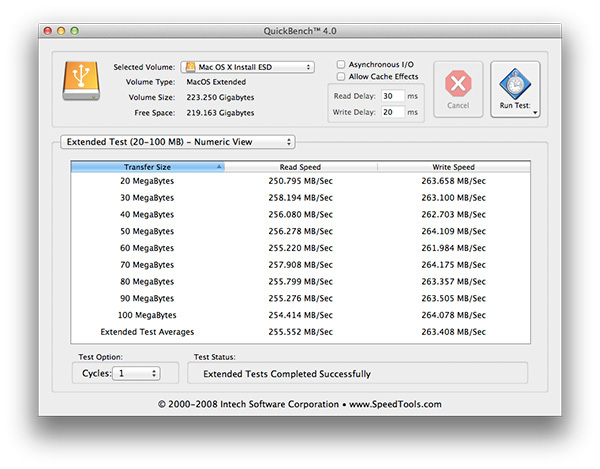 Across a large room or in an adjacent one just under 100Mbps is possible on 5GHz as well. Go further out and you'll have to switch over to 2.4GHz. There are no wired network options by default, however Apple's Thunderbolt to Gigabit Ethernet adapter works just fine on the new Air as well as the rMBP. 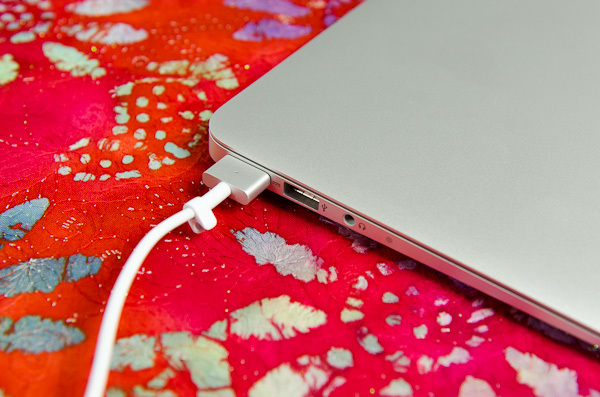 MagSafe 2 makes an appearance on the new MacBook Air, although it's curiously absent from the non-retina MacBook Pro. Eventually I'd expect all Macs to use MagSafe 2. The current state of things is likely temporary fragmentation. Similar to the rMBP, the actual power adapters themselves haven't changed: 45W is all you need for both systems. Apple keeps its CPU options pretty simple and straightforward. You get a choice of three different CPUs, all dual-core, all rated at a 17W TDP. The Core i5-3317U comes standard in the 11, the i5-3427U comes with the 13, and both systems can be upgraded to the Core i7-3667U. The Core i7 upgrade is likely worth it if this is going to be your primary system for an extended period of time, particularly if it's acting as a desktop replacement. As a mobile device the standard CPUs are quite fast. If you're an annual upgrader, save your money, but if you're going to hold onto the system for a while and do a lot of heavy work on it, the upgraded CPU is probably worth it. There is a known bug with the upgraded CPU under Windows today. Turbo Boost is disabled under Windows on the 3667U, although it's fully functional under OS X. Apple is aware of the problem and I'd expect a fix at some point, but there's no indication of when. I am wondering what percentage of "power users" will start trending towards machines like the MacBook Air and Pro. It seems that the cost differences are eroding away between the likes of computers like Clevo-based Malibal and Apple products. It seems to me that the Apple products are priced pretty competitively, and offer more flexibility by being able run OSX as well as Windows or Linux. Yes...Apple is to be commended for allowing choice in the OS department, unlike other OEMs. what? choice in os? every 'OEM' that's tried to make a Mac OSX compatible computer has been sued out of business by Apple. No, individual peripheral manufacturers write their own OS X drivers. Apple has standards, but even Microsoft requires digital signing.